Many people want to know when dinosaurs were made. And, when we get the answer, we realize that that answer only mentions land creatures. 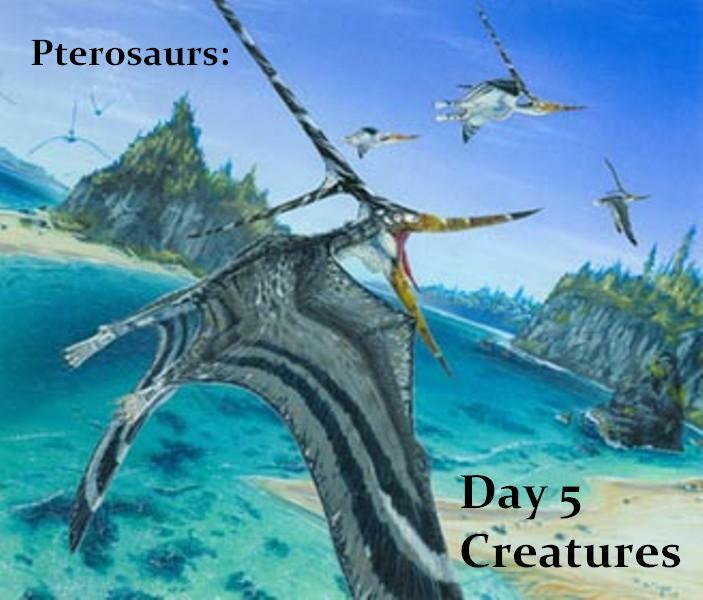 And since we know pterosaurs are flying creatures, we have yet another question to ask! So, to help you I have provided a dialogue that prevents the facts of the situation to present an answer. This dialogue could be just one way a conversation about pterosaurs could go. I doubt it will go that smoothly but at least you are ready now!